Is my power sports battery GEL or AGM? 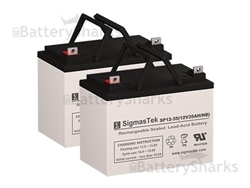 Most sealed lead acid batteries, designed for power sports applications such as motorcycles, ATVs, snowmobiles or personal watercrafts, are of the AGM type. 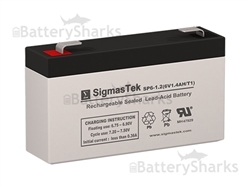 Gell cell SLA batteries are rarely used. Actually the major motorcycle battery manufacturers like Yuasa, Scorpion and Power Max do not produce power sports sized Gel batteries. The reason behind this is that Gel require a slightly lower overall charge voltage than AGM or Flooded lead acid batteries. Typically the charging system of your vehicle will be preset from the factory to charge at a higher rate which can be bad for Gel batteries. 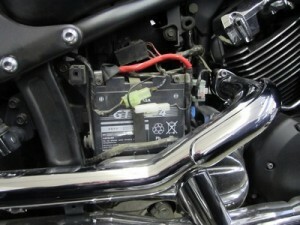 So it is most likely that your motorcycle uses AGM battery such as the YTX12-BS, YTX7L-BS or the YTX14AH-BS battery. 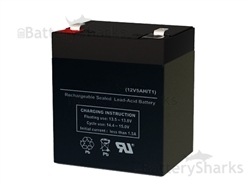 For more info about AGM and Gel batteries, please read this post.